Chiropractic Plus services all varieties of auto accident injuries. Our clinic has hundreds of new patients every year and we are highly trained at evaluating and detecting injuries acquired from auto accidents. We are located on the outskirts of the Denver Metroplex in Thornton, CO. It is important that you get evaluated as soon as possible after an auto accident. 24-48 hours after an accident your body is already trying to stabilize your posture with adhesion and scar tissue. It is best to utilize your body’s innate healing abilities during this time and have your spine and nervous system in the right working order. We have over 25 years of experience working with auto accident victims and their insurance companies. Our highly trained Chiropractic Assistants will help you each step of the way while you are dealing with your auto insurance claim to ensure your confidence during the process. If necessary, we can match you with a referred lawyer who has helped many of our past patients and has a proven and trustworthy record. We do all this to put your mind at ease and so you can focus on healing! Please refer to our Q & A section below to further your understanding of the auto claim process and how Chiropractic Plus can help. Whether you were at fault or not, you may have questions about what to do next. If all of your questions are not answered by the Q & A section, please give us a call at 303-254-8430 and our highly trained staff will answer any questions you may still have. It is our goal to make this trying time in your life as seamless as possible. One decision YOU can invoke to make your life easier is choosing a Doctor who has over 25 years of positive experience handling these types of cases. Dr. Ray is that Doctor, and together with his staff you will feel confident in all aspects of your recovery. Q: Why do I want to consult with your office? A: Very simple. 27 years of clinical experience in handling auto related accidents and the most up to date, state of the art equipment along with personalized attention to each case. A: Call and schedule an appointment ASAP. Research shows that your best success is to get help quickly. Within 24 to 48 hours the body has already begun using scar tissues and adhesions which leads to more pain and damage over time. You have a 10 to 14 day window to achieve maximum results. Beyond the 14 day window? Still take action NOW every second counts to the resolution of your problem. Q: Do I need a referral to get care in your office? A: NO! Colorado law mandates that you can see any medical provider you deem necessary for needed care. Q: Who is going to pay for my needed care? A: Colorado law mandates a minimum of $5,000 in medical payments coverage that can be paid either through the owner of the vehicle you were in or your own vehicle’s insurance coverage. If your insurance company states you do not have the medical payment benefits, they must show proof that you chose to waive these benefits in writing to make the statement valid. You paid for your benefits, make sure you get to use them. If they tell you that you do not have Med Pay (Medical Payment) benefits on your car. Have them send you a copy of the waver that YOU SIGNED. Quite often they cannot produce it because it does not exist. Q: I did not have any insurance on my car at the time of the accident. What are my options? A: If you were not at fault, the at fault driver’s (car that caused the accident) insurance will cover your needed care. If you were at fault, we can use your medical insurance or we have affordable discount care plans so you can still get needed care. Q: I was a passenger in a car, or I was a pedestrian who got hit by a car. How do my bills get paid? A: The driver is required to carry Colorado minimums of $5,000 in medical payment for all occupants. If the driver does not have insurance or you were a pedestrian hit my an uninsured motorist, you can use your own auto insurance to pay your needed medical bills. Q: I was not a fault in the accident. If I use my own insurance will my rates increase? A: No your rates will be unaffected because you were not at fault. If you were at fault, if you filed a claim to fix your car, the rates will increase from that more than from a medical claim. Q: I was at fault. If I use my own insurance will my rates increase? A: If you file a claim to get your car fixed, filing a claim to get yourself fixed will not make any difference on your rates. Usually a claim to get your car fixed is more likely to make your rates increase. A: If you were not at fault, the assistance of an attorney is not required, however it is very helpful. We work with many attorneys that can help you navigate the claim. They are paid by the at fault insurance carrier. If you were at fault, you do not need an attorney. Q: I did not feel immediate pains, and now my pain is starting, do I still have a claim? A: Immediately following an accident your body released specific hormones to help you manage pain. After a period of time, these hormones stop production and pains can show up weeks to months following an accident. You still have a claim, even if you told the police that you were not hurt at the scene. Remember you are not a doctor so you simply did not know that the problem was there. Q: How can I speed up this process? A: Step #1: Schedule an appointment. Step #2: Contact your insurance company and open up a medical payment claim. Q: There was not a lot of damage to my car, and I still feel like I was injured. 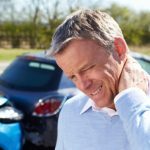 Will the auto insurance still cover my injuries? A: There is a ton of science behind this phenomenon. The short answer is yes, as long as the doctor determines the injuries related to the auto accident. 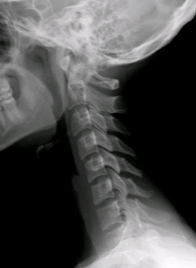 Some people may not develop symptoms for months or even years after an auto accident. This is why it is so important to get checked by a chiropractor as soon as possible. If any part of your spine is misaligned from the accident, your body will immediately begin to compensate in other areas leading to more discomfort and eventually even worse misalignment. *By answering "Yes" you can complete the auto accident questionnaire. Who was at fault? You or the other driver?